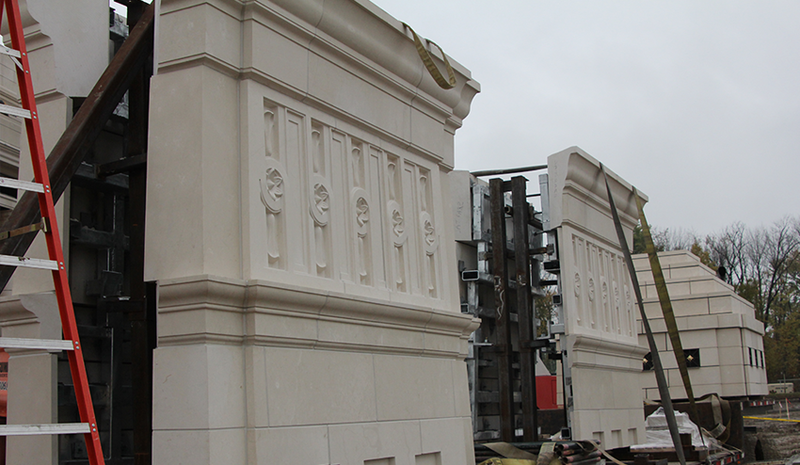 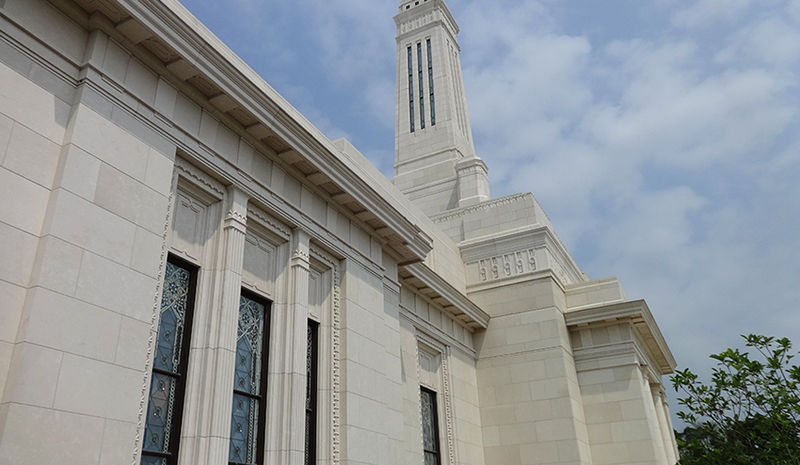 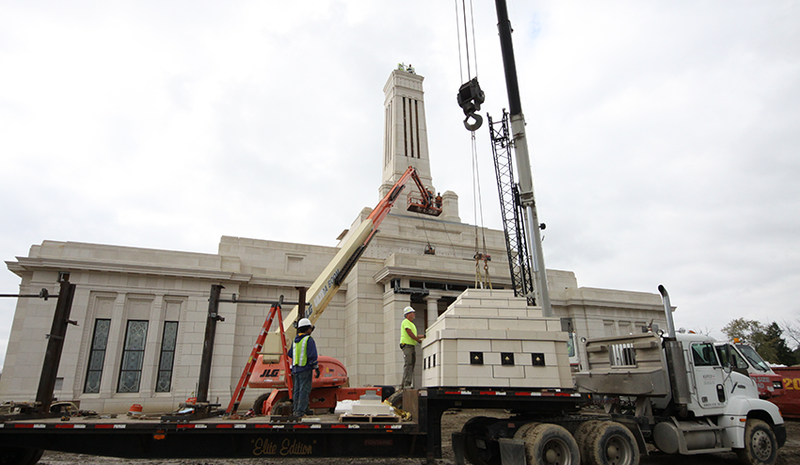 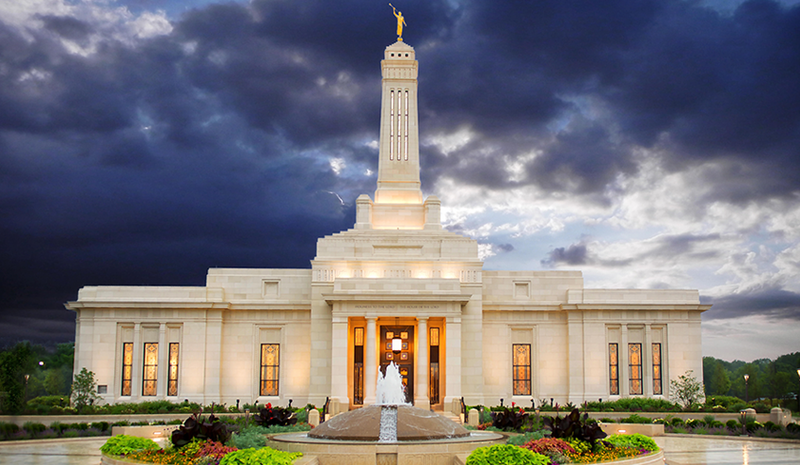 Clad with nearly 36,000 SF of Aero Limestone, the Indianapolis Temple radiates both quality and elegance. 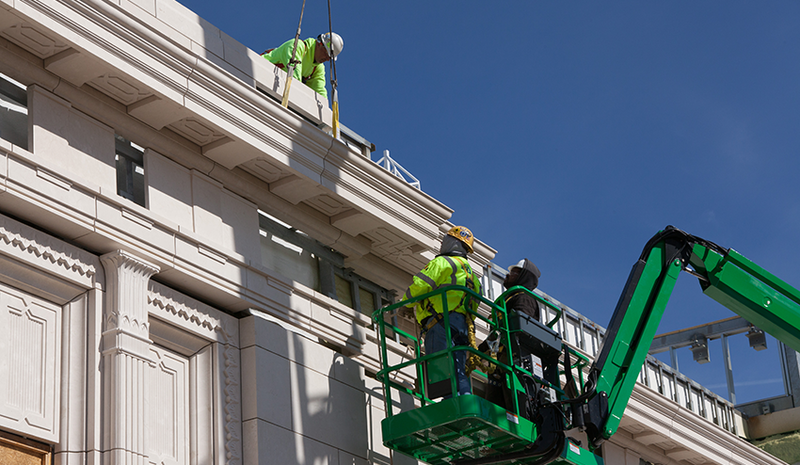 A design-assist project, multiple installation methods were evaluated to determine the most efficient solution. 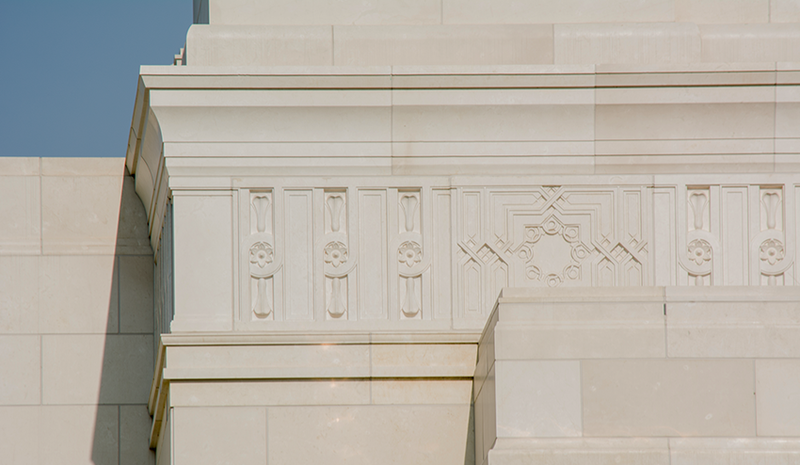 It was determined that, to minimize field labor and improve the schedule while also mitigating the need for high scaffolding, everything above the twenty-foot mark could be panelized. 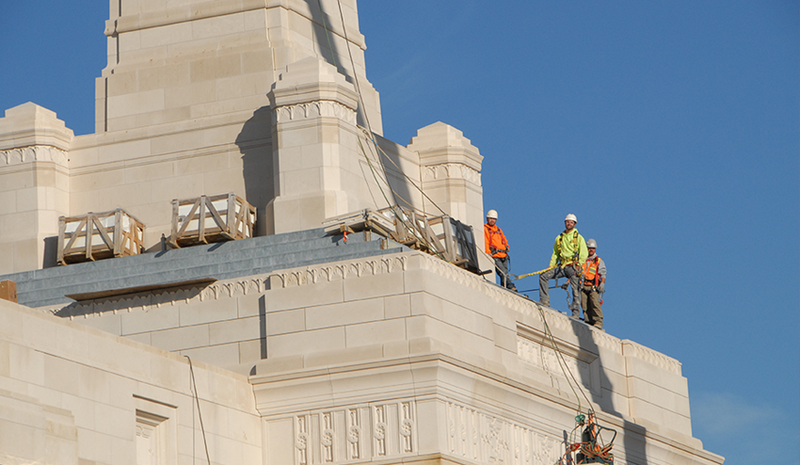 This included the entablature detail around the main roof level, the roof attic and screen walls, as well as the entire spire cladding. 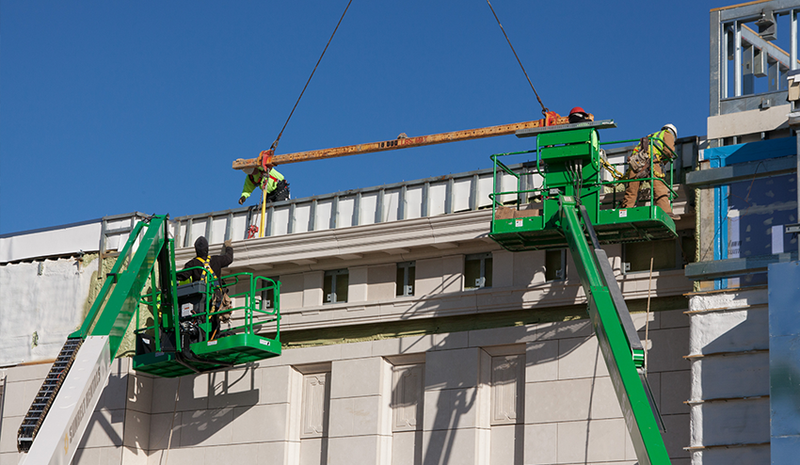 A total of ninety-eight panels were fabricated and installed, improving the overall safety, schedule and budget. 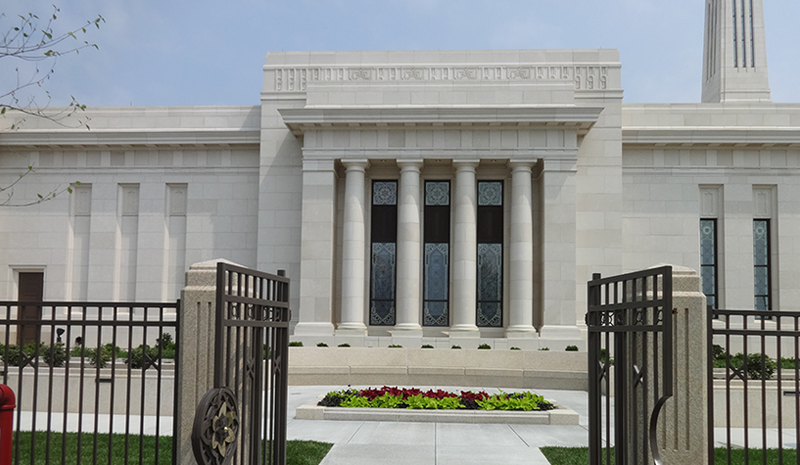 In addition to the ornate cladding, 16,000 SF of granite site work surrounds the temple, creating a tranquil setting for its many visitors.